This is about 9:30 am or about 50 minutes before sunrise. This was taken at the west end of the parking lot at the Butrovich Bldg. 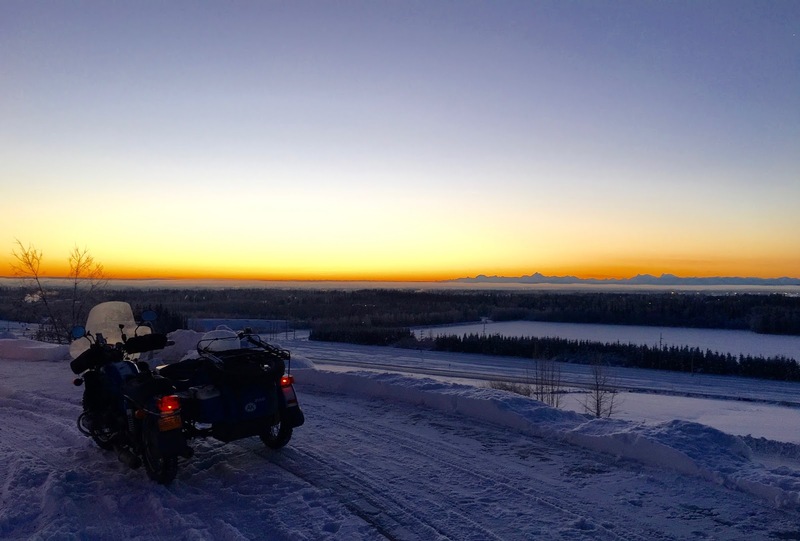 I took the opportunity to record some video for the 2016 Polar Bear Challenge which begins tomorrow. I just re-read the rules and it said that the video doesn't actually need to be recorded on the day that it's submitted so I figured that I'll begin a day early. I know that I had said that I wasn't planning to participate but it's hard for me to turn my back to something like this. Easy to do, uses a bit of technology, and annoys a couple of the other participants. What's not to like about this? I rode about 26 km this morning and ended up with a boring 3 minute video that meets their requirements. 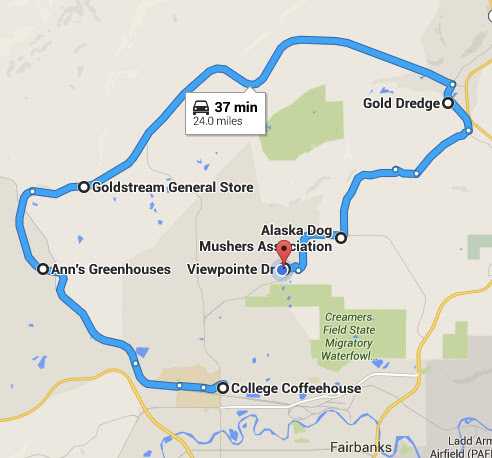 On Saturday morning, I headed into town with the customary stop at College Coffeehouse. 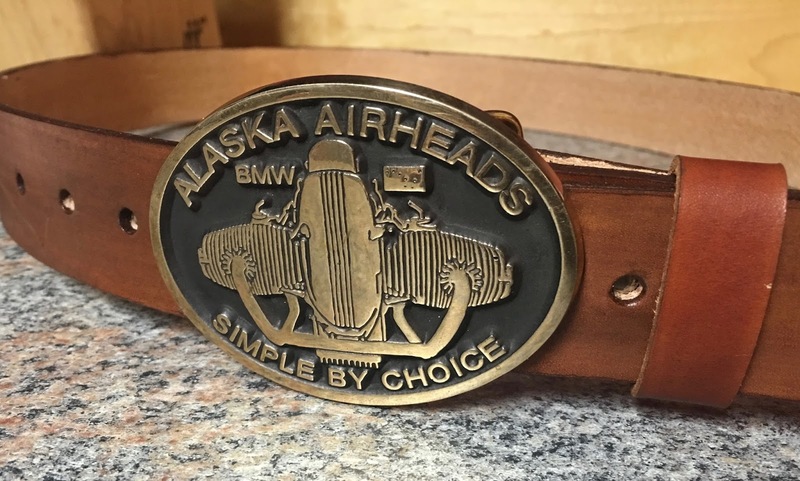 BruceW from Ketchikan had sent me one of the few Alaska Airhead belt buckles still around. I needed a new belt so I planned to go to about the only leather shop that I know of in town. I still have the chains on the pusher due to the heavy, wet snow on top of ice. But as you can see in the video, it is really bumpy going with all of the ice under the snow. Very bumpy especially when going over bridges. I had gone into town to take advantage of the "Local Saturday" sales at the leather shop off of 2nd St. One of the few times when I actually went into town. Most of the video was taken while leaving the downtown area and circling back towards the university then home. 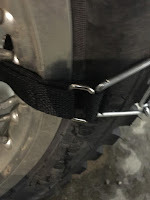 The next couple of pictures are for a post on SovietSteeds, the Ural forum, about my replacement straps for the chains. This is the 1" x 12" heavy duty nylon cable tie with Velcro. The last 2" or so is the hook portion of the Velcro and the rest has the loop Velcro sewn on. 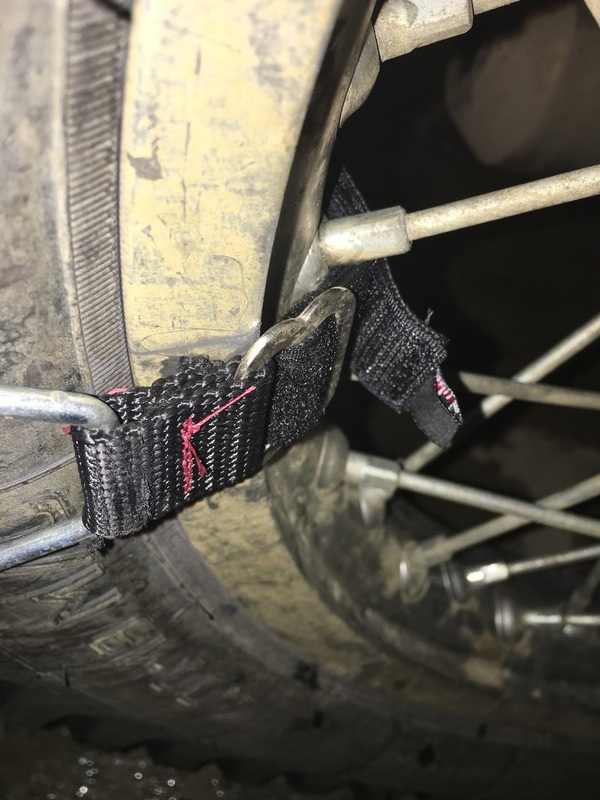 The straps are too short to reach both of the chain bails so I sewed some nylon extensions between one of the bails and a stainless buckle I attached to the cable tie. The other end of the cable tie has a rectangular steel ring sewn onto the end. I have my 1" long extension on the driveshaft side of the wheel since it is thinner than the cable tie strap when doubled over, Thin is needed to clear the driveshaft. This is the other side of the chain. 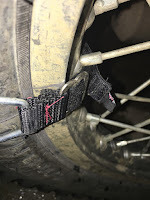 The rectangular ring is threaded through the wire bail on the chain and the free end of the cable tie with the hook Velcro is threaded through the rectangular ring and doubled back fastening the Velcro. Nothing much happened today. The only new items on the menu was a combination of roasted brussel sprouts, roasted butternut squash with cinnamon, dried cranberries and pecans. The squash was sweetened with a drizzle of maple syrup (well maybe more than a drizzle). And I tried stevia instead of sugar when I made the cranberry-orange sauce. 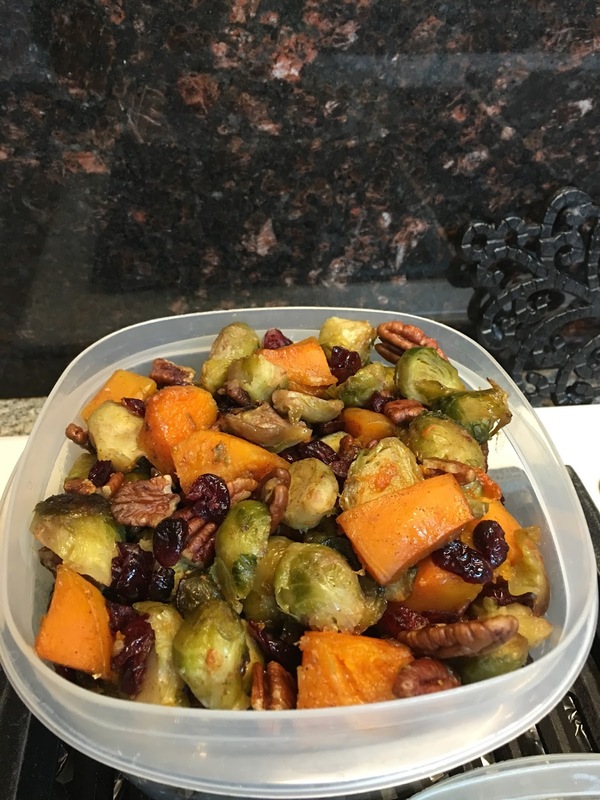 The roasted veggie mixture was delicious but the cranberry sauce came out a bit pasty. I figured that stevia can't be used to make a simple syrup. Now that I'm retired, "holidays" just don't have the attraction that they used to. In fact, today was a lot more work effort than normal. In addition to roasted veggies and cranberries, I made a "Good Eats" roasted turkey which was in a brine for about 24 hours before roasting, mashed potatoes, hawaiian rolls and the ubiquitous green bean casserole. This is like the 6th year I've made Alton Brown's version of roast turkey as the light meat is a moist and tasty as the dark. In our house, the light meat is usually ignored but not any more. 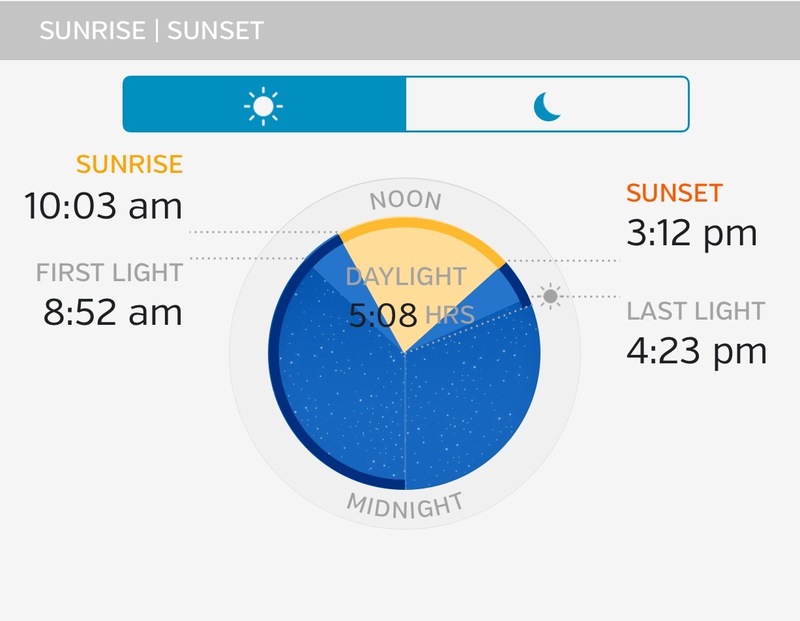 Only a bit over 5 hours of daylight today. It's only mid-afternoon and it feels like it's night. It has been snowing pretty steadily all day so there may be a few more inches of snow. Nowhere near the 7" that was being predicted yesterday. So far we've had 49" of snow since Sept 1st which is almost double the average. It seems like it was a good year to pick up the snow plow. It's a very therapeutic activity. Solitary, somewhat mentally challenging and very satisfying. 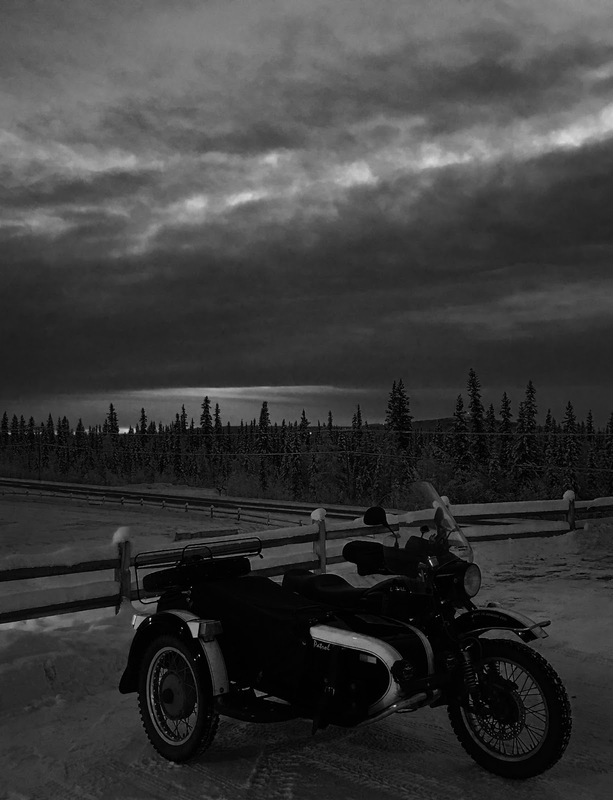 Another snowy ride post. We got about 5" of snow last night and with the snow comes warm weather. I think it was about +25°F this morning. Today, I tried putting the chains on the front wheel but they hit the rod anchoring the brake caliper. I didn't realize that there was so little clearance. I had just been focusing on fitting the chains on the rear wheel. Anyway, I dug out the GoPro as it hasn't been used since my road trip. All of the batteries were dead and the powered back didn't seem to be working. So I dug out my modified case and mini-USB cable. It worked, sort of. The vibration and wind kept pulling the cable out of the GoPro as it was a pretty loose fit. A rubber band seemed to solve that problem for now. I had deleted my Google Plus id as I didn't care for their interpretation of a social network. When I did that, it also removed all of my uploaded videos and I was no longer able to comment on YouTube. Whenever I tried to comment it would bring up a dialog box asking me if I wanted to set up Google Plus (which I didn't). Yesterday, I tried again and it let me set up a non-Google Plus account. All of my old videos were still there just tagged as private. So this was sort of a test. 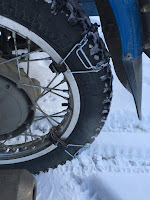 This morning, I put the chains on the pusher before heading out partly to see how well they worked in the fresh snow. It took only a couple of minutes to install four sets on the pusher with my nylons strap mod. No effort to space them out evenly around the rim. Great traction, as expected, and a little bumpy once I got onto the main road. And at that point, I just drove with the pusher on the snow piled up in the middle of the road. After getting back home, I checked for evidence of anything hitting the driveshaft and found none. 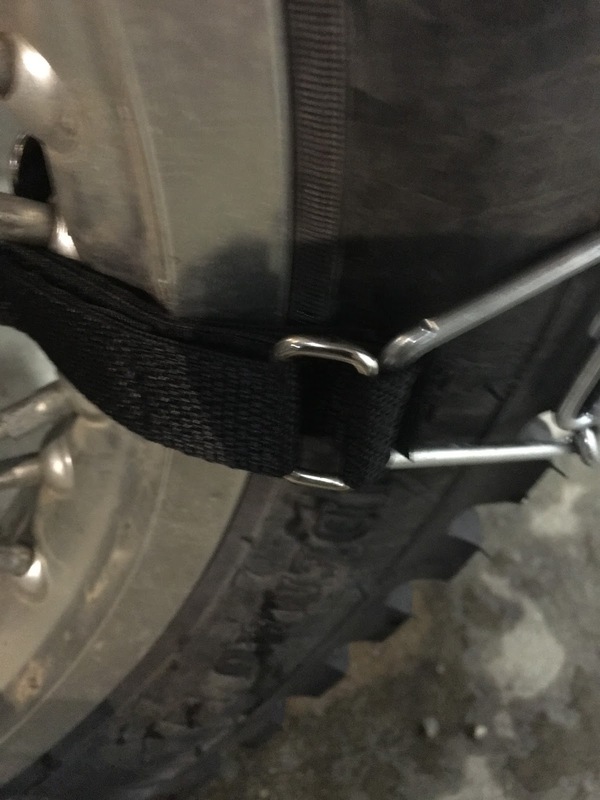 The Velcro held the chains on just fine. 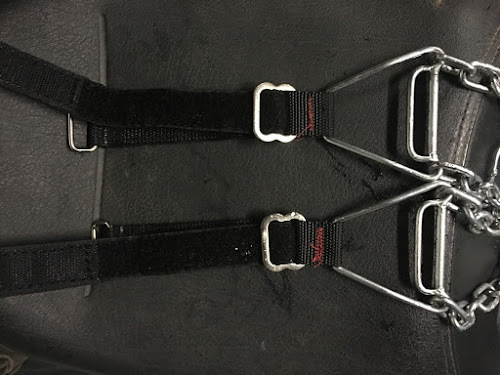 I think that they may be a good option to the leather straps. Yesterday (Saturday) afternoon, there was an Airhead tech day to dig into a bike. Before I left, the transmission was out, front fork sliders and rear suspension was out. 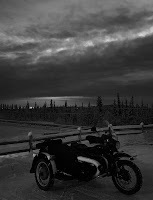 I'm not sure how far that bike was going to be torn down but I left before dark. The compression was only 80 psi on one cylinder and 110 psi on the other and it burned quite a bit of oil so some engine work is needed. When I left, there was about 6" of fresh snow on the subdivision road off of Chena Hot Springs Rd. I pulled off into a driveway to let a truck go by and got a little stuck. 2WD didn't help much as the rig was floating on top of the snow on the mufflers. But I was able to back up out of the driveway and continue up to the main road. I think that I may need to actually replace the pusher as there isn't a lot of tread depth compared to a new tire. And there isn't enough tread left to install studs down the middle. 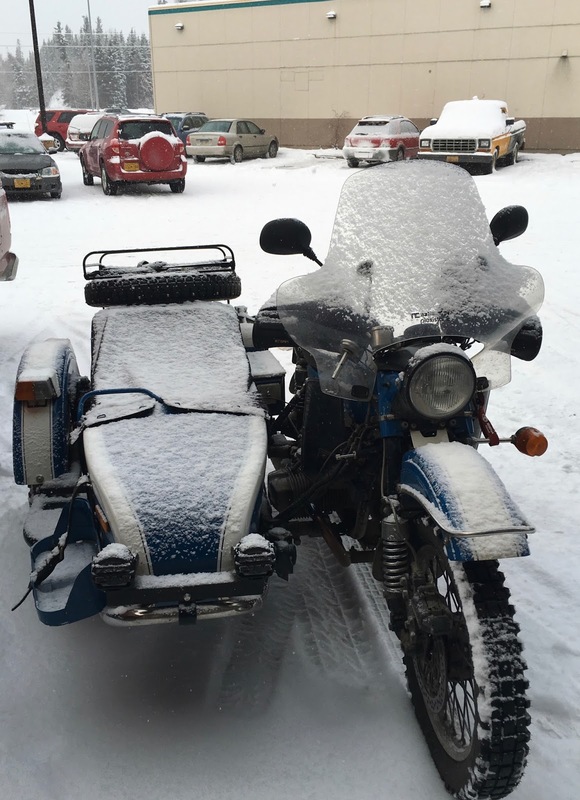 I still haven't installed any studs in the sidecar tire and I think that it may be time. 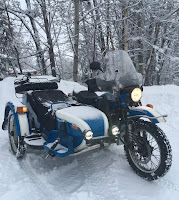 No, the original Ural battery didn't fail but I have noticed that the voltage has been reading lower the last couple of months. Last year, there was at least one orange LED showing on the voltmeter right after turning the key on before starting. Lately no more orange just the two red LEDs. JedR, the owner of the new EFI rig here in Fairbanks gave me the original battery from his 2015 rig as he is running an automotive battery. 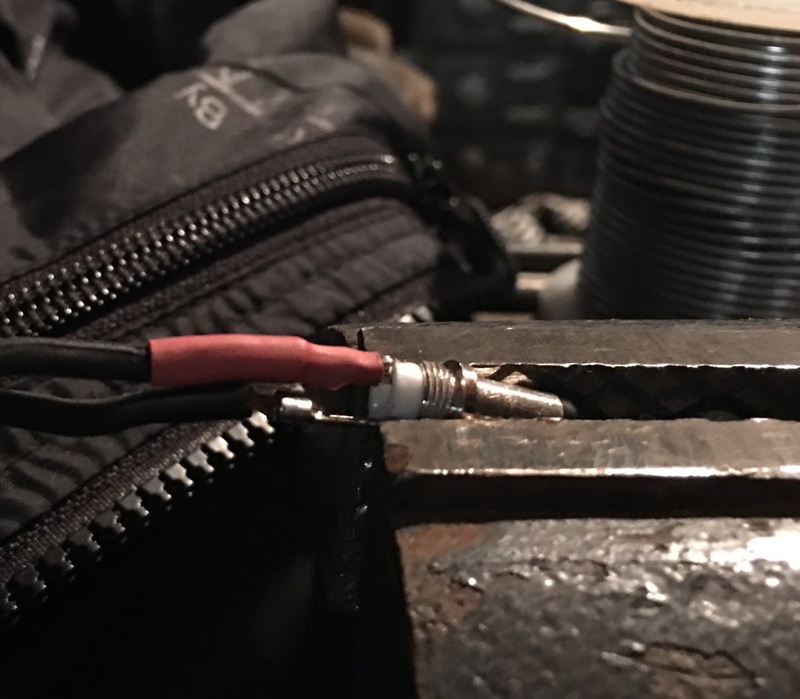 The original was basically used as a terminal post to splice the wires from the new battery to the wiring on the bike. 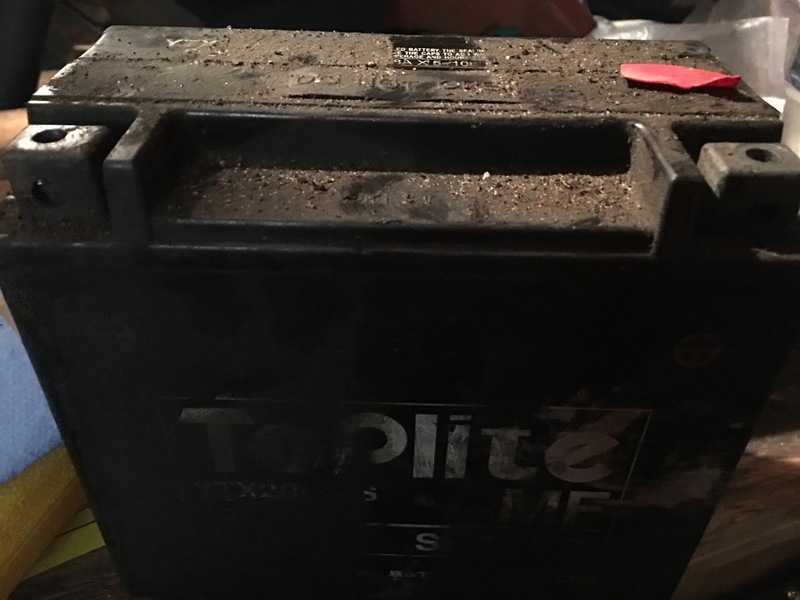 So I installed the newer battery yesterday evening. And I now have two orange LEDs! The old battery was pretty filthy so I took the opportunity to clean up the area including the rear fender. The crimped on main ground terminal fell off. It must've been a marginal connection. After a very moderate October, we are finally starting to get the "dry cold" that many prefer. 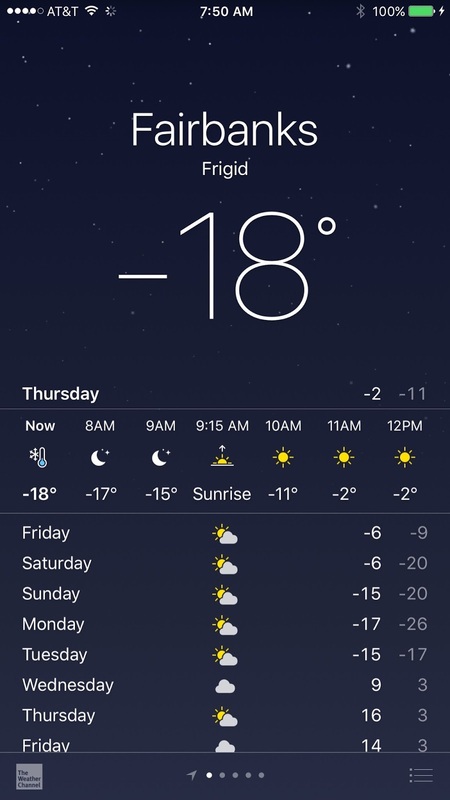 I heard many comments like "It's about time we got some decent weather" this morning at the coffee place. It's not that everyone likes the cold but many people, me included, don't care for the wet snow that we have been getting the last couple of storms. There was a temperature inversion this morning as it was only about 0°F at our home but much colder as you headed toward town and lower elevations. Today was one of those days when I should have worn a fleece liner over the heated liner as I was feeling the cold on my chest by the time I got home. 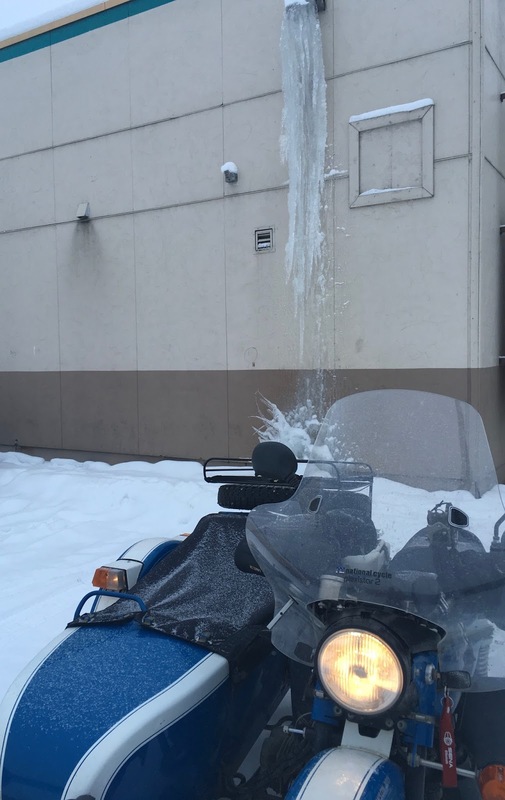 A lot of air gets by the Ural windshield. I had other errands to run this morning that needed the truck so I dropped the plow in front of the garage and headed to get groceries... lots of groceries. Tomorrow evening and Saturday morning I will be preparing snacks and breakfast for around 150 people. Hopefully I guessed right on the quantities. 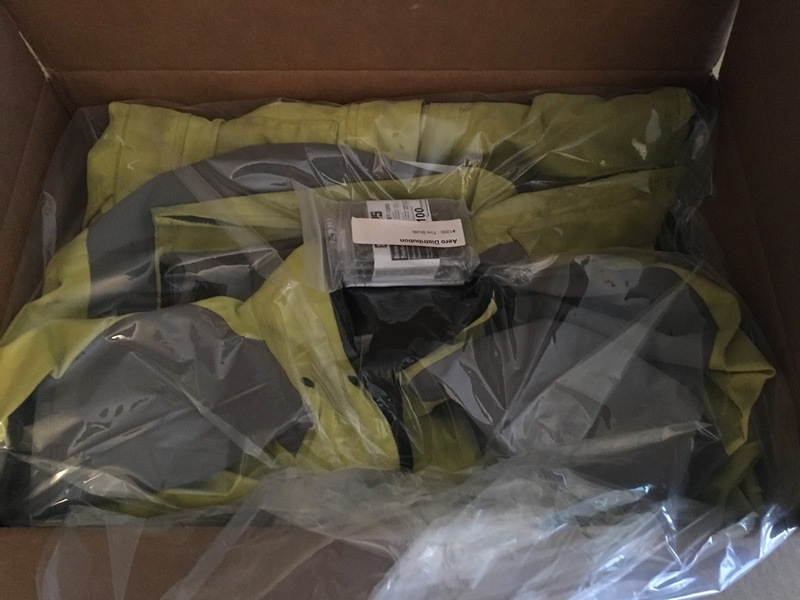 About an hour after my last post where I mentioned that I had just received an email from Aerostitch with a tracking number, FedEx dropped a box off at our door. Pretty speedy shipping, eh? The reality is that they had mentioned last week that it should be shipped by the end of the week. For all of the good things about Aerostitch, communication doesn't seem to be one of their strengths. I was out and about early today for a change. I needed to meet with someone at the university around 8:30 and this sunrise photo was taken on my way out of the parking lot after the meeting. Sunrise was at 9:11 today and I believe we are losing daylight at the rate of about 6 minutes per day. 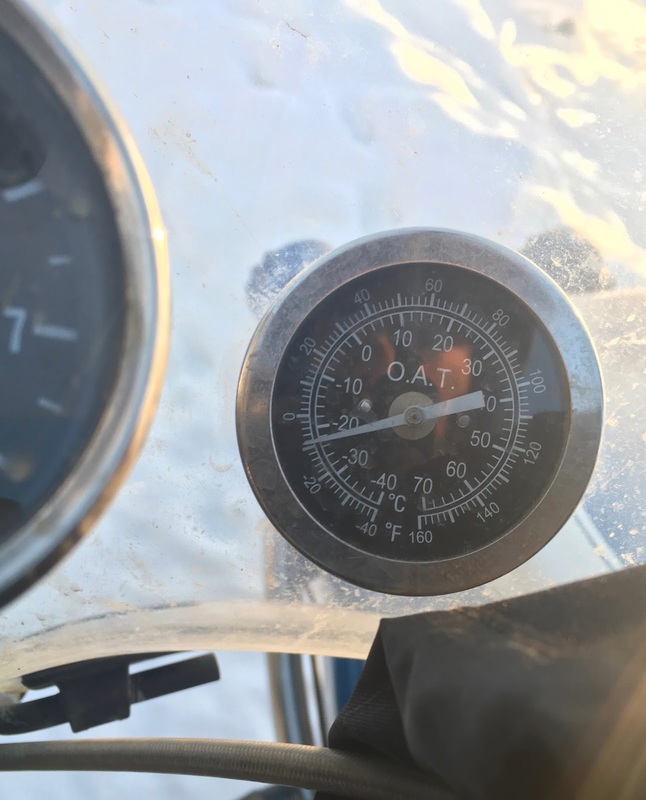 I didn't look at the temperature when I left but it was a good day to have the heated gear working. Working well enough to need to turn down the heated grips to a setting of 2 out of 5 and the gloves to about ½ power. I had another meeting at 10:00 so I stopped for a cup of coffee at the usual place, College Coffeehouse, for a bit before heading to the next meeting. Afterwards, I headed back to the coffee place to see if George and Sandra were still there. 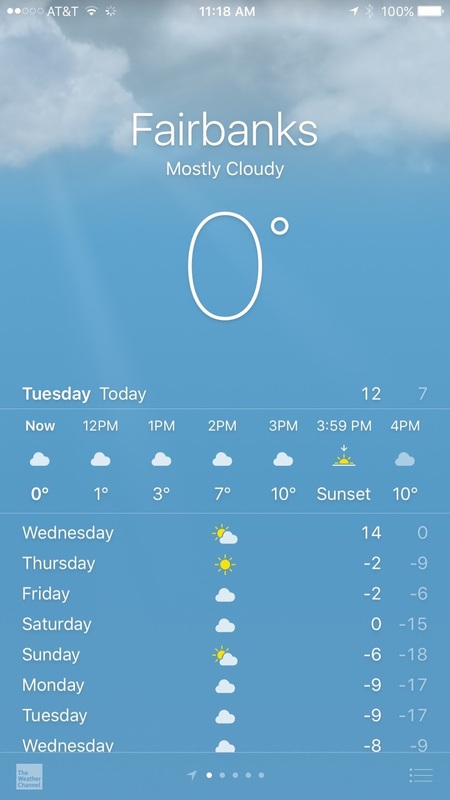 They told me that it was below 0°F when they came in. Definitely colder than I thought it was. 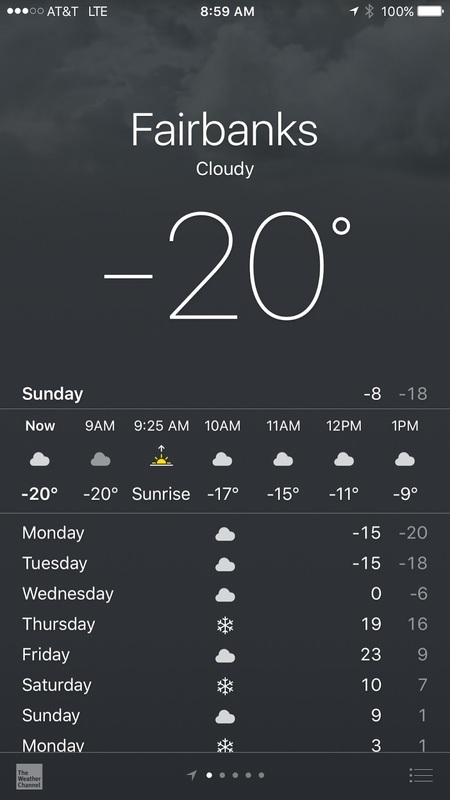 According to the weather app, it looks like we are in for some colder temperatures. 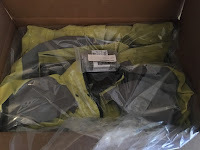 This morning, I received an email from Aerostitch with a tracking number for my Roadcrafter Light back from repair. It's taken a bit more than the initial 5 week estimate. The current estimate for things sent in for repair now is 12 weeks so I'm glad that I didn't procrastinate more than I did. Another couple of inches of snow last night and it's still coming down. 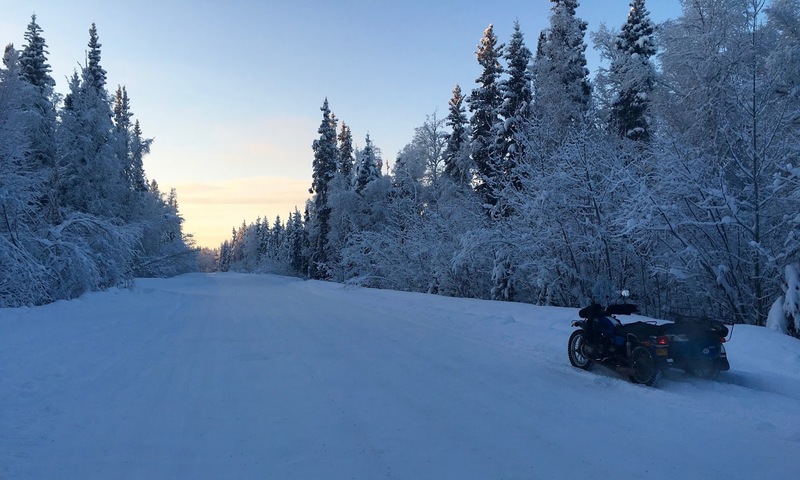 It's very quiet outdoors on days like this and once you are even a little ways from the main roads, you can't even hear any traffic. This is on the gravel road on the north side of the university where walking/ski trail crosses the road. 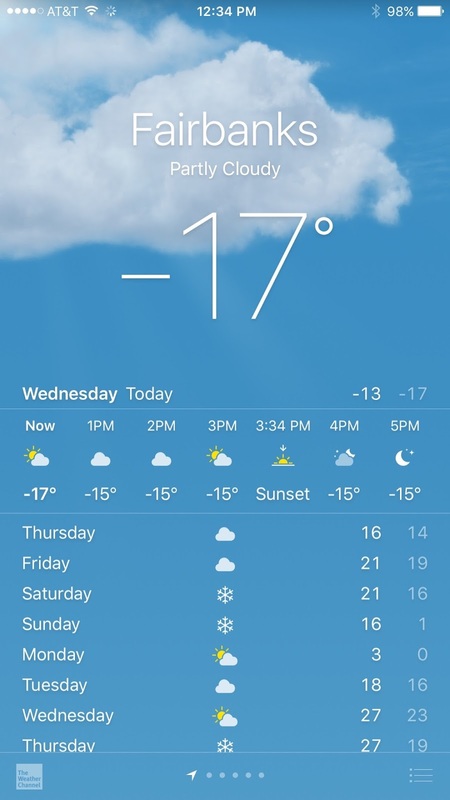 It's a very pleasant 27ºF but the forecast for a week from now is -15ºF. We usually have our first cold spell before the U.S. Thanksgiving holidays so i't right on schedule. 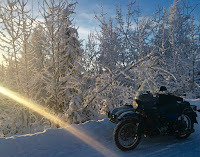 It was such a plesant day that I took off on my favorite loop through the next valley north (Goldstream Valley) before cutting back towards town on the Old Steese and Skyridge Dr. I guess I could've stopped but didn't really see anything "photo worthy". 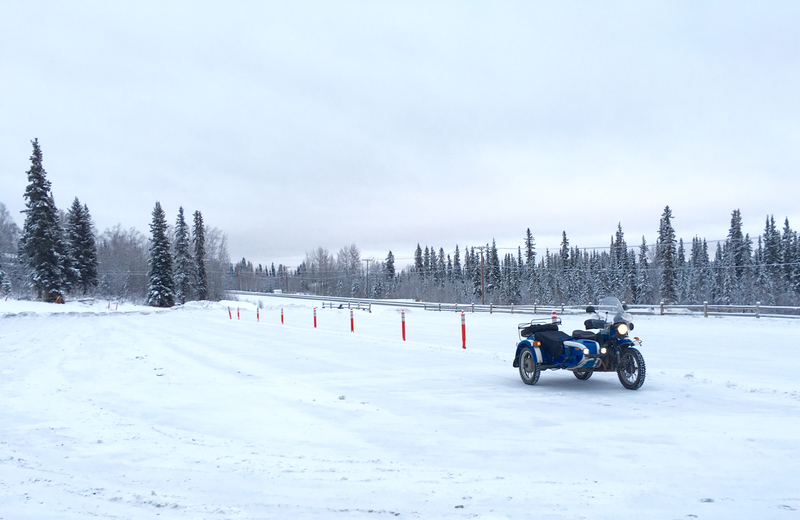 We just don't have the majestic mountain views here in Fairbanks. 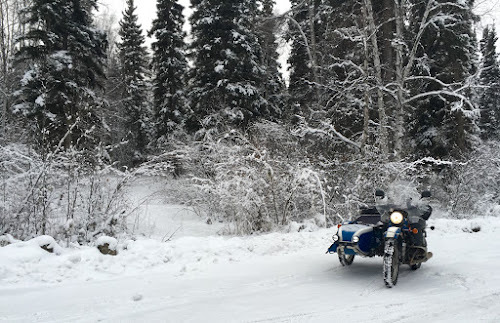 The fresh snow was making some sections of road a little slick but not unmanageable. The only time 2WD was needed was on the subdivision road and that was only because someone was behind me. They may not appreciate wheelspin (gravel on their windshield). I know that I wouldn't. Since the final drive was replaced at Raceway, it is really easy to switch in/out of 2WD. Not at all like it was last year. Between last night and noon today (Monday) we got around 4" of nice, fluffy snow. When I headed home from morning coffee, there were large flakes coming down. When I arrived, a gentleman nicknamed "Web" stopped by to admire the rig. 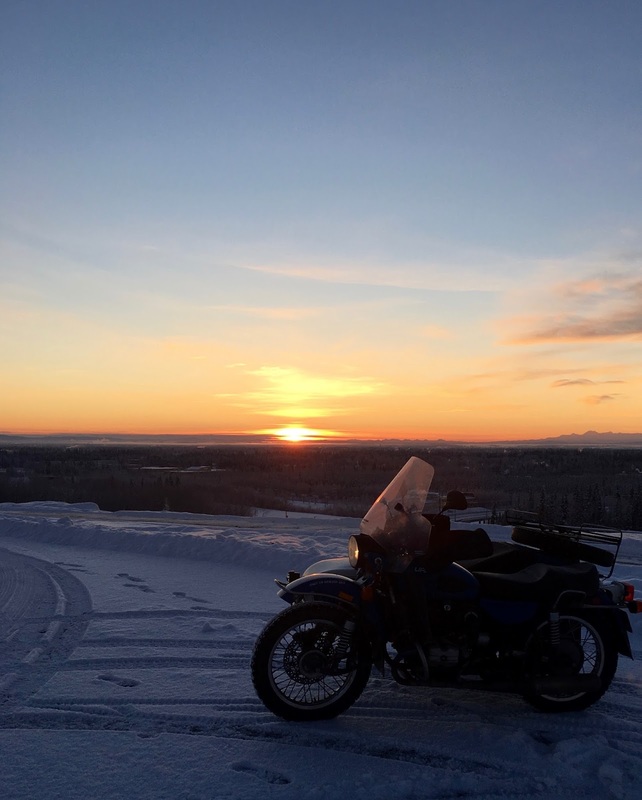 He mentioned that he just picked up a '84 R80RT. He is interested in purchasing my Cozy sidecar currently attached to my '83 R100RT for the same reason as me. To extend the riding season. He came by for some coffee and was pleasantly surprised to see George as he had bought a bike from him in, I think, 1983. Of course, once I got home I had to plow the driveway. I think I'm starting to get the hang of it. I get to plow a couple of parking lots later this week. That'll be a learning experience. Yesterday, two of my sons went with me to pick up some ballast for the back of the truck. I was thinking of sand bags but they also had 60 lb bags of gravel. That seemed to be a better idea as there wouldn't be as much of a mess if the bag breaks. I now need to make a sturdy box or frame to hold the 480 lbs of gravel in place at the rear of the bed next to the tailgate. This is definitely in the non-moto category. 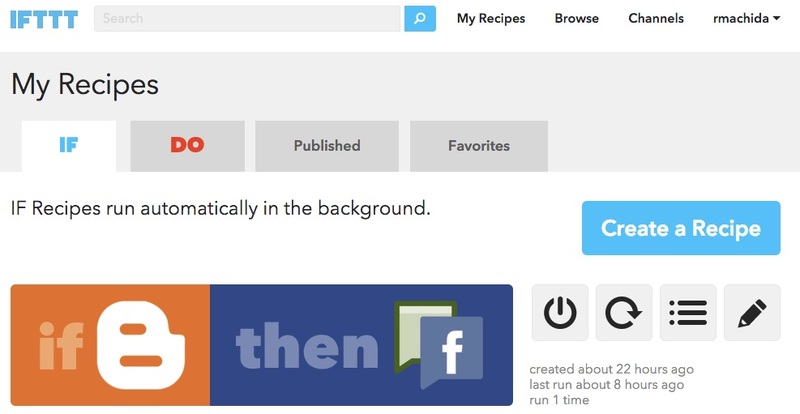 I have been using a web service called "If This Then That" better known as ifttt.com, for a number of years. 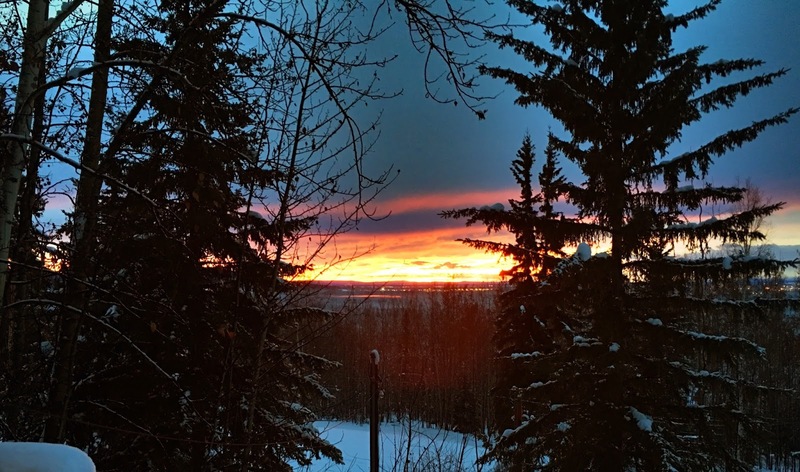 The only "recipes" that I have are tweet every time I put up a new post on this blog and another to text me when the Fairbanks temperature drops below -25°F. Both have been working flawlessly. I have been playing around with a new recipe to create a Facebook pages post when I include the blog post label "fb". It sort of works but insists on using the blog header instead of the first picture in the individual post. There are a variety of suggestions. I'm trying the simplest one first. I replaced the header with a PNG file instead of a JPG. It was suggested that FB prefers JPG. Anyone else using IFTTT for anything? 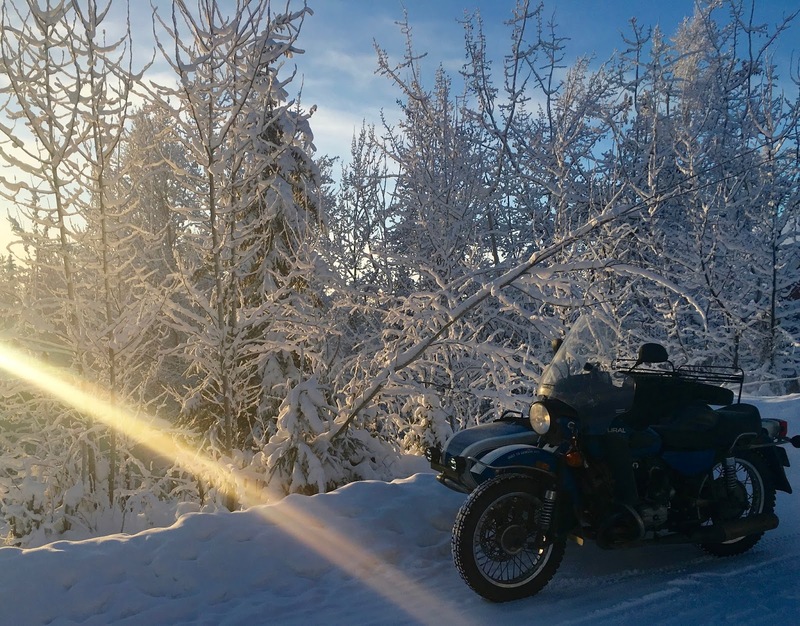 I took advantage of the fresh snow to try out the tire chains on the Ural. I put four (eight cross links) on the pusher to see if that was enough and if they cleared the drive shaft. 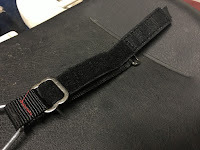 I am still using the leather straps as I hadn't fitted the velcro straps yet. With just these, I drove around including more than a few stops on the steeper hills and deeper snow. They seemed to work pretty well. Very little wheelspin except when I tried climbing a steep slope in reverse. It was pretty challenging to get them installed on the wheel in the correct location so the strap wouldn't touch the drive shaft. 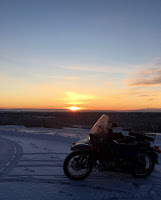 It was a much cooler ride this morning at +9°F but wonderfully bright and sunny. I finally got around to installing a few more studs in the pusher. I was reminded that I needed to put a few more in when 2WD was needed to get up our subdivision road. 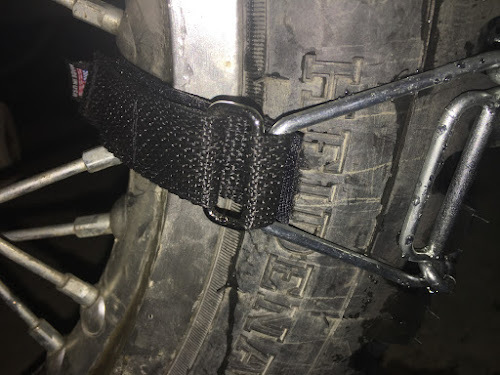 I used the studs that I removed from the tires last spring. 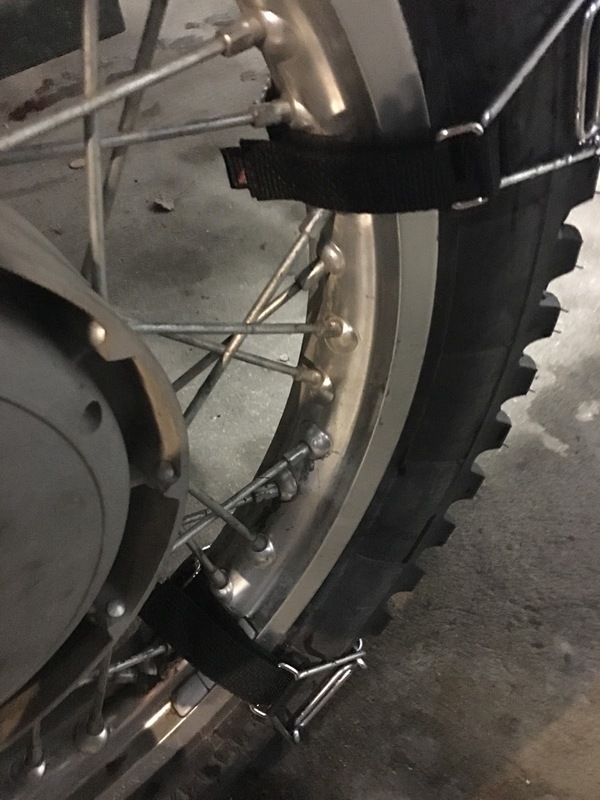 Since this was last years sidecar tire, there is still plenty of tread left to screw in the studs. 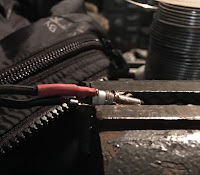 A little over a year ago, when I installed the heated grips and the outlet for the heated gear, I installed a relay under the seat that was triggered by power to the electronic ignition module. This way the gear would shut off with the engine. There are more "elegant" methods. 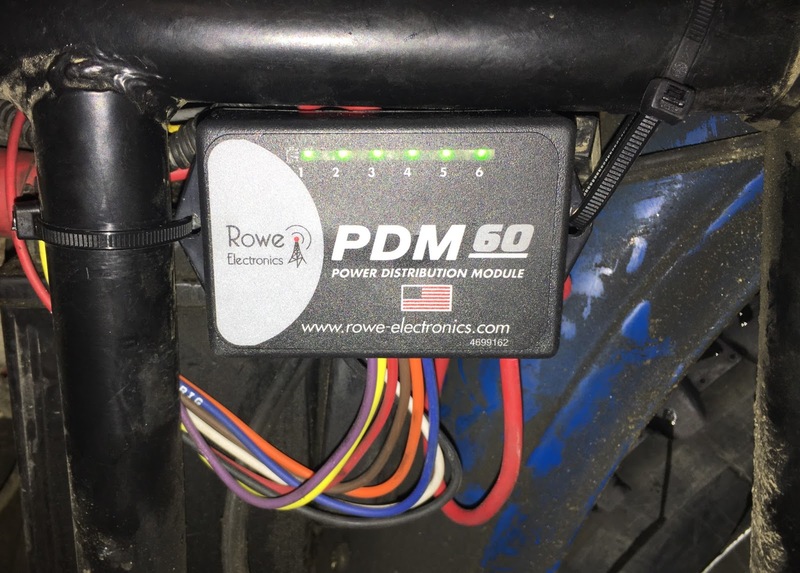 I picked up the Rowe Electronics PDM60 on sale on Amazon after reading about it on ADVrider. It simplifies the installation of accessories as it has one connection to the positive terminal of the battery, a low current ground connection and a sense connection to a switched connection. For the switched connection, I used the same connection to the no longer used electronic ignition module. The LED lights show the status of each circuit. In case of overload, the color changes to red. And just by cycling the ignition power, the circuit will reset. Simpler than changing fuses. Total current handling capacity is 60 amps. It has six circuits and you program it using software (Windows only!) through a USB connection. 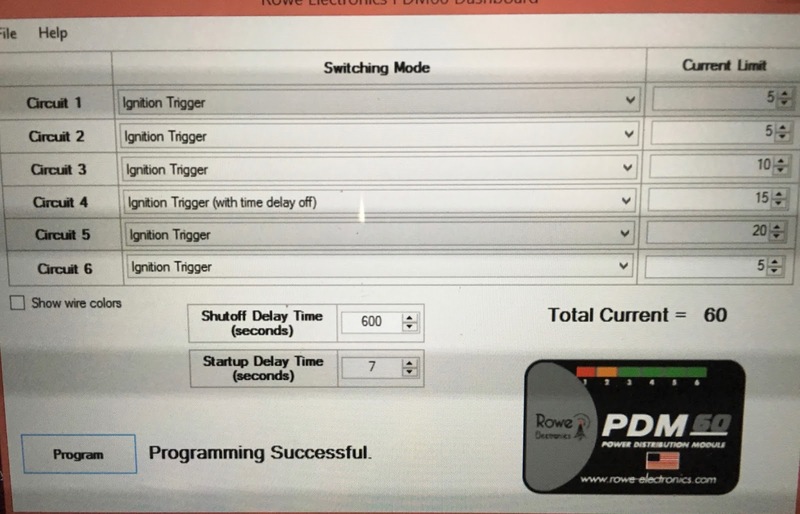 You can set the current limit for each connection, whether it is switched by +12 or a ground connection or both, and startup and shutdown delays. I'm currently using three of the six circuits. One for the heated grips, another for heated gear and the third for the GPS. I still need to install the horn again and will use the one high current (20 amp) circuit for that. 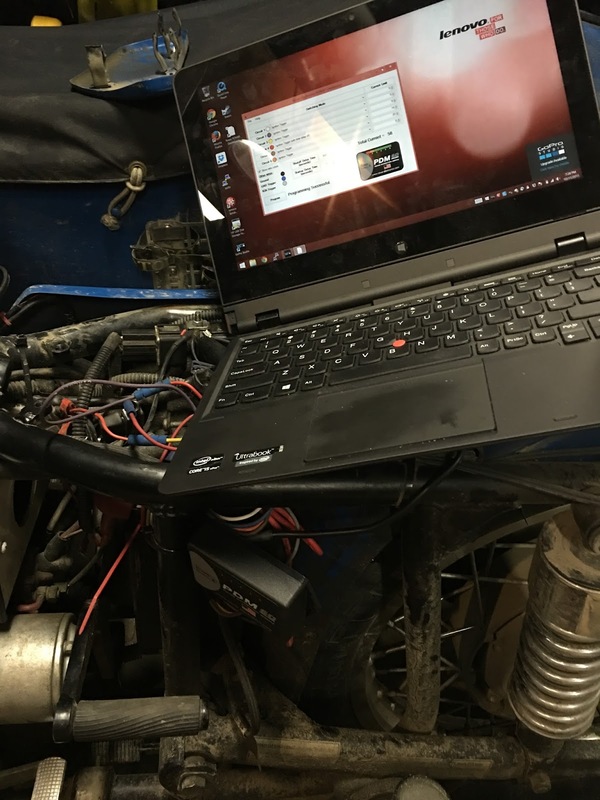 I set a 10 second delay on to limit draw on the battery while cranking the engine. I set a delay for the GPS of 600 seconds so that it will remain running during gas stops. I was thinking that the software wouldn't run under Windows 8.1 as it wasn't seeing the device via USB. A search of the web site indicated that there are fewer problems if it is disconnected from power. There is no mention of that in the included documentation. A pretty cool device and smaller than an auxiliary fuse box. It felt kind of nice to be able to remove all of the inline fuses that were installed under the seat for all of the accessories. Much cleaner installation. 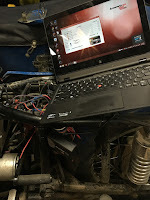 Who would've thought that a non-EFI Ural would need a laptop connected to it.